Email us your service and maintenance requests! Radio Technology Services provides essential technical services for maintaining your organization's two-way radio systems. 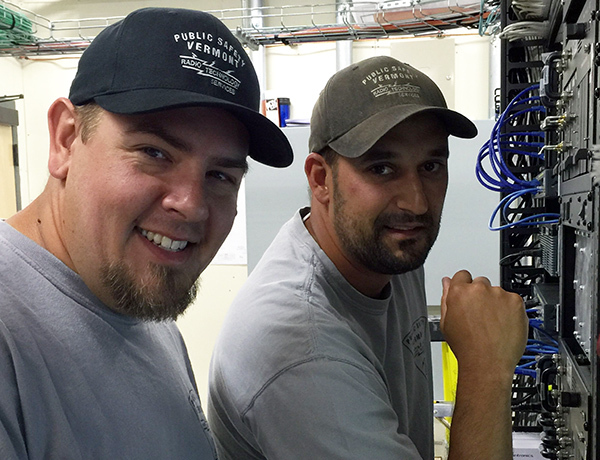 We provide round-the-clock access to our trained technicians to ensure that critical communications infrastructure issues are resolved with minimal disruption to our users. Field technicians are dispatched to the affected site to resolve any issue. Mobile and portable equipment is essential when plowing roads or responding to an emergency. Our FCC licensed technicians troubleshoot, analyze, test and repair all land mobile radio equipment in one of our five service facilities. The use of state-of-the-art test equipment ensure repairs are completed quickly so your operations stay up and running. The two-way radio systems we maintain represent thousands of individual radios. The most common portable unit we maintain is a Motorolla APX 6000. The most common "dash mount" unit we maintain is a Motorolla XTL 2500. Another unit frequently used is the TK 7160 from Kenwood. RTS provides both on-site, in-field, and service center installations. Our team has years of experience in working with these systems. We are not satisfied until any system or support equipment is working based on the manufacturer's specifications, which normally meets or exceeds customer expectations. If the equipment is not able to meet the needs of the user, we will work with the manufacturer or a product engineer to develop a solution. A comprehensive LMR site management solution ensures that our critical infrastructure, such as radio sites, towers, and backhaul solutions, remain operational. If these assets are incapacitated or destroyed it would have a debilitating effect on our security and safety. In many cases, the systems maintained by RTS are the only means of communication for our users. RTS provides radio frequency engineering, system engineering, communication site management, Public Safety Answering Point design, compliance, operation and technical support for LMR radios located throughout Vermont. 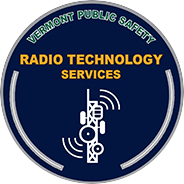 RTS provides FCC licensing on behalf of the State of Vermont government. We manage all initial applications, licenses, renewals and changes. We file FAA studies and FCC tower registration documents. By having a FCC frequency advisor on staff, we ensure that State government complies with all FCC regulatory updates. Click Here - For Public Records Database and Agency Records Officer or Liaison Contact Information.